Welcome to the Rose Blossom Blog Hop! We are so grateful that you stop by to visit us on the 15th of the every month. Today we want to share some ideas using Live Beautifully. If you aren't familiar with the National Scrapbooking Month special, I will share the information at the end. One of my favorite things to do is mix our products. I wanted to show you how so many of our other products work really well with Live Beautifully. I love this photo of my husband and mother-in-law. One thing they love to do is to laugh together! There are so many fabulous colors and textures in the Live Beautifully paper packet. I used the color in my mother-in-law's jacket to choose my papers. From there I just played by adding a little of this and a little of that. 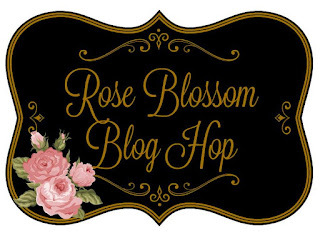 Now it's time to move on to Lynn's blog! I've seen a sneak peek, and I can't wait to go there myself! WOWSA ... so many different things involved and all I can look at is that awesome photo. This looks like you had so much creative fun. Seriously, I swear you're the only person I know who could combine gorgeous florals and an adorable bear! What a beautiful keepsake page. 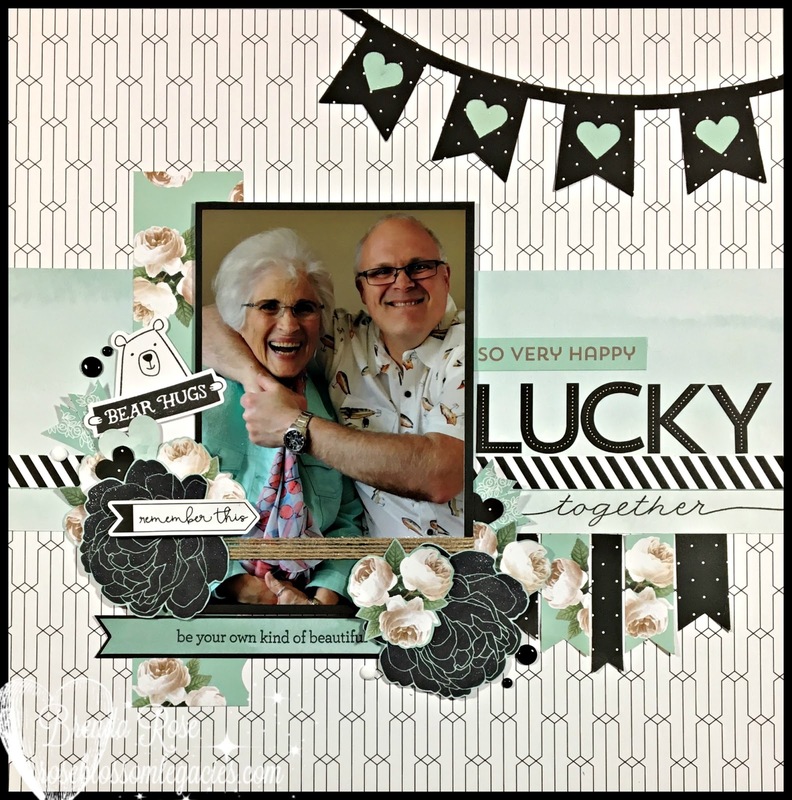 The layout and embellishments are fab but the photo steals the show. Such a great layout! Love your colors and added touches. Perfect jacket color for this paper! What a fun picture and a BEAUTIFUL page! So gorgeous! I would have never thought to add that cute bear to the elegant papers and flowers, but he's just perfect with them and this layout. Brilliant! This layout is so gorgeous and I love how you snuck that adorable bear stamp in there! Such a heartwarming photo and layout. 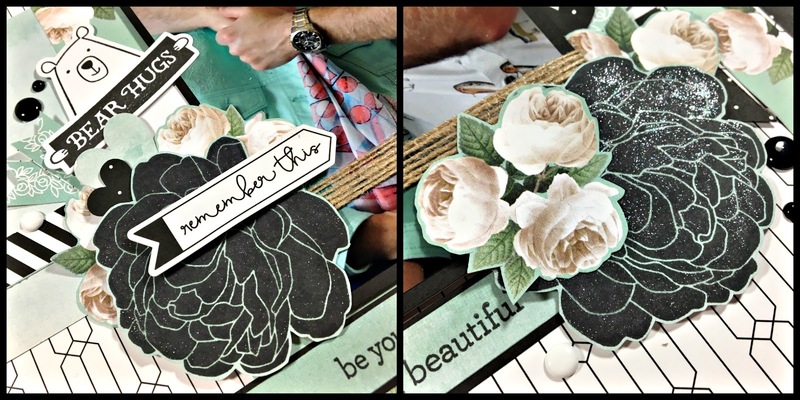 You mixed so many elements with these papers, from Cricut cuts to complements to that adorable bear stamp. The black flowers really pop with that paper that we both love so much. So inspiring!